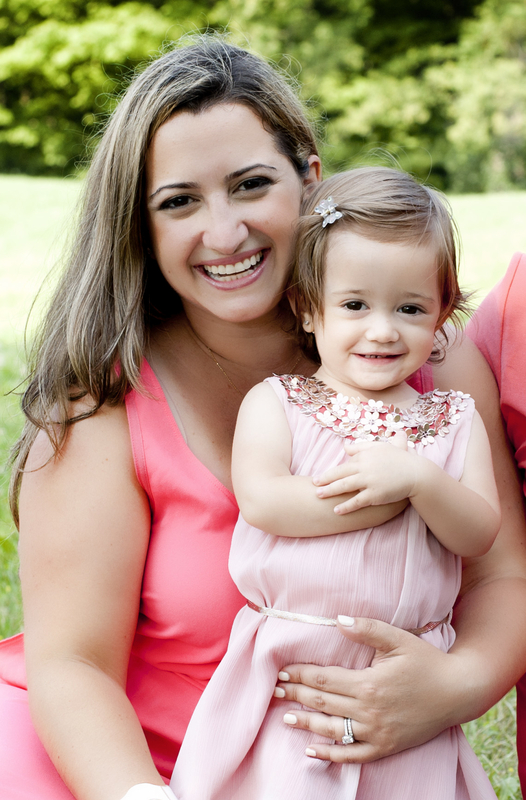 A bit about me – my name is Julia Suppa and I’m a very busy mom. I like it that way, most of the time. My first, and most rewarding job, is mom. I have a 20-month-old daughter named Isabelle who I love with all my heart. Isabelle was born at 30 weeks old, and while she did have to stay in the NICU for the first bit of her life, she is absolutely perfect. I have since devoted some time to making people aware about premature birth and being a mom to a preemie. I am a television host and producer with the local cable station, Rogers TV, in York Region. I love meeting interesting people and learning all they have to offer. I frequently produce special events and large-scale productions. Last, but certainly not least, I’m a newbie blogger. I started blogging (www.simplysuppa.com) as a hobby and something to do on maternity leave, and it has since developed into a wonderful outlet to communicate with the world. That’s a snapshot of me! I’m also a volunteer with the Canadian Breast Cancer Foundation, a knitter, a social media lover, a foodie, etc etc. Like I said, I like to be busy!. You can’t do EVERYTHING. Something always has to give. In my case, it’s housework. I’d much rather spend time with my LO and my husband than cleaning a toilet or dusting. Success inspires me. I meet people who have done so well for themselves and I think, “I wonder if I can do that?” I’m inspired, also, by people who are so busy, but still have time to have fun, be a loyal friend, and be respected by their peers. I shower at night, prep my weekly meal plan on the weekends, and when I can, I make a couple meals at once so I don’t have to cook every night. (I love to cook by the way) I make to-do lists and follow them. That’s a tough one. I think my best WOWMOM advice would be to remember what made you a WOWMOM. When Isabelle was released from the NICU after 9 weeks in hospital, the nurses said to us, “Enjoy her.” That’s what we’ve done every day. We play, we have fun, we’re silly, we dance. Enjoy your kids. Smile. There have been many. Most recently: raising more than $200K at the Woodbridge/Vaughan CIBC Run for the Cure where I was one of the lead organizers. Listening to my babe spurt out new words every day. Finding a great deal in a shop! I’m not a fan when I lose my cool in stressful situations. I try for it not to happen. Another tough one: go out with girlfriends, get your nails done, take a LONG hot shower, do something you love, take time to pause. I have two: waking up next to my babe and having a morning snuggle and getting home from work and hearing little feet running down the hall to greet me, and then, a big huge hug. It needs to. I make lists of tasks to do, but I also have a “Family Bucket List”. After a busy week at work, or a big event, I try and take it easy and unwind for a bit afterward. So many. The doctors and nurses who took care of me and my daughter when she was born. My husband, who is the best daddy in the world and pushes me to excel. My parents, who you appreciate so much more after you become a parent. My sister, who gives great advice and wonderful care to her niece. My best friend who listens to every single story, regardless of how mundane. Those family members who are not with us physically, but still show signs of their presence. You will never understand what a mom will go through for her children, that is, until you are a mom. 1. Nail Polish. I’m an addict. I’m known to change my polish at least once a week. On this note: my Sally Hansen at-home gel kit – easy to use, fast and you get perfectly polished tips that stay shiny!! And no more bed sheet marks! 2. Sushi. It’s my favourite food. 3. Wine. Why not? I love sampling new wines, pairings, wine accessories, wine tours. I’m a wannabe wine snob! 4. My laptop. I use it every single day. 5. My DSLR camera. It takes wonderful photographs and even has some fancy settings that make you look like you can take really good pictures!! 6. Kiehl’s Olive Oil Fruit Shampoo and Conditioner. Honestly, every time I use it, my hair looks amazing. I save it for my most special occasions. 7. My shoe collection. Heels, flats, wedges, sandals, flip flops. I love shoes. I am ALWAYS on the hunt for knee high boots that fit my muscular calves properly, though! 8. Petite clothing. I adore stores that carry a petite line. At only 5’1, I’ve spent so much time and money altering clothes. Stores that carry a petite line lift a load off my shoulders! Thank you! My faves: Banana Republic, LOFT.